VYPER was a new company with no traction or exposure. This was a joint venture with Paxton Projects and we needed to start from ground 0. This projects required launch, ad and infrastructure strategy. Identified a list of competitors to draw insights from for customer identification, set up retention strategies, outreach plans and deal structures, extensive keyword and persona analyze along with a solid media buying strategy on search and social platforms. SaaS products take a different type of execution. With this client we found that email marketing, giveaways and content upgrade strategies yielded the best resutls. Targeting specific business owners and selective roles in marketing positions allowed us us to get the service in the hands of the implementers and improve our free to paid conversion rate. Selecting contest users and eCommerce store owners through outreach allowed us to steal users from competitors as well as target the people most likely to use giveaways. 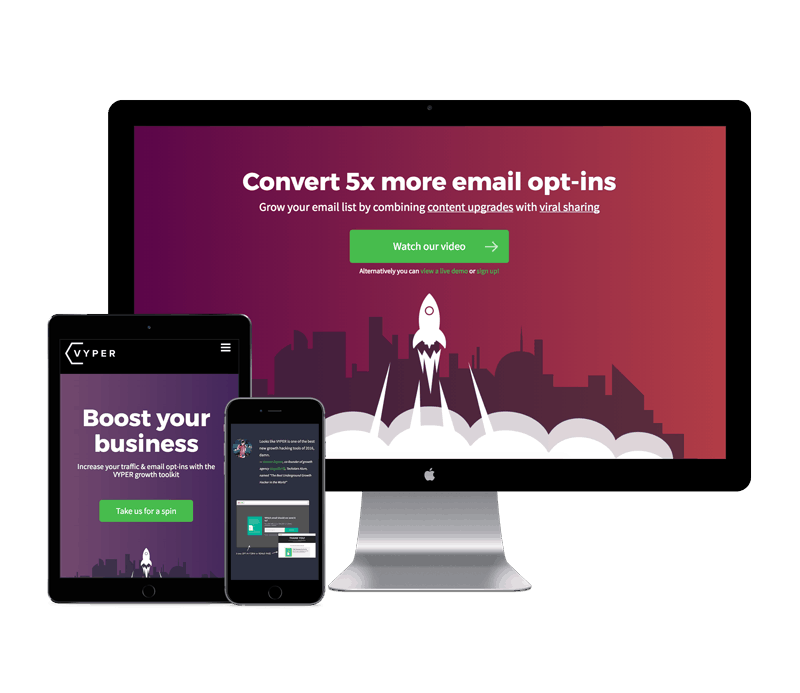 The launch of this start up was extremely successful, leveraging competitor audiences, targeted outreach and deal structures with niche specific websites helped build exposure and drive conversions to get a positive ROI within 2 weeks.